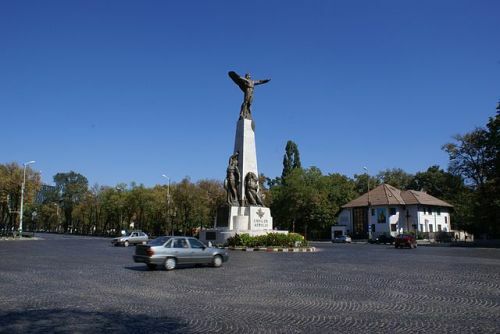 The Monument to the Heroes of the Air on the Aviators' Square honors the Romanian airforce fighters who died during World War I. The Monument to the Heroes of the Air on the Aviators' Square honors the Romanian airforce fighters who died during World War I. The monument comprises bronze sculptures resting on an obelisk-shaped stone pedestal, atop which is a statue with arms spread like wings.